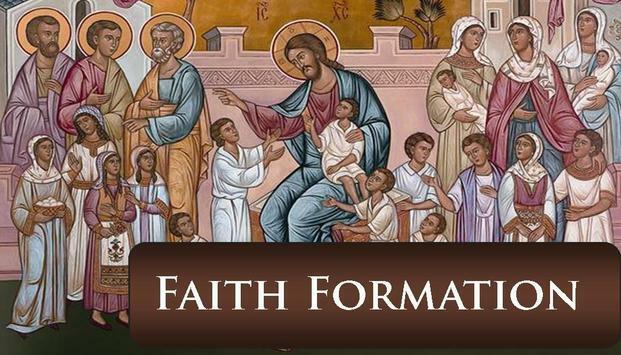 Faith Formation is an ongoing experience for all ages, and here at St. John Neumann, we have a program for you! See you how you can get engaged in the beauty of the Catholic Faith. Our Faith has a rich Tradition just waiting to beheld! All are welcome to come and embrace the Loving Embrace of God! Besure to check out all of our programs! Click on the any of these programs to learn more! Children&apos;s Church ~ Offered during the School Year at the 10 AM Mass, where toddlers through first grade are dismissed after the opening prayer, and they participate in their own Liturgy of the Word. Life Teen High School Program ~ Made Specifically for High School aged youth! Adult Faith Formation Nights ~ All are welcome for our Thursday night ongoing Faith Formation Nights, where we explore and examine our Faith, and allow it to come alive! Faith Sharing ~ We have men and women faith sharing groups, which gives us the opportunity to learn more about our own personal walk with our Lord. Sacramental Preparation ~ Whether you are an infant, a child, teen or an adult, we have a number of programs to help prepare you for the Sacraments. Here are some other resources that we have in the community!